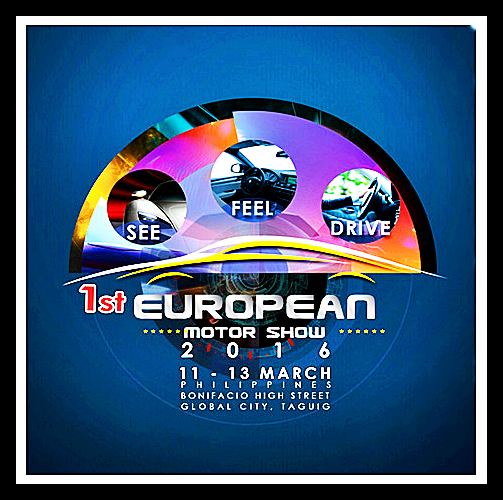 2016 marks the first ever Euro Motor show in the Philippines. I am not really a car enthusiast but I am fascinated with European cars. Lamborghini, Ferrari, Porsche, Bentley, Fiat, Buggati, Rolls-Royce, Rover, Saab, Seat, Skoda, Volvo are only a few of the more famous ones I know. You could not deny the fact that European made cars are synonymous to good quality cars. The Euro cars of your dream will no longer stay as a dream because they're now available in the Philippines. Last March 11, 2016, I had a rare opportunity to witness and feel how it is to ride some of them. And it did not disappoint! Various kinds of European cars were on that car show! I know all of you car enthusiast out there will definitely recognized a good car when you see one. My jaw dropped when I saw a gray Maserati car! I asked the lady in charge if I can try the Maserati and she said yes! I was so happy! For the first time in my life, I got to sit inside a #Maserati car and feel how it is to ride in a 30 million pesos car! ( I know, I can never own one, lol! ) At least one of my wildest dream came true! This high-end luxury car has a spacious interior, genuine leather interior. This car is a four door sedan that has a very sporty look owing to the fact that it has very contemporary curves on the body’s exterior edges. From the front to the rear, you can't help but notice the well crafted tail lights and the beautifully pronounced rectangular shaped quad-tail pipes. These cars are made in Europe and offer fantastic value for your money. I bet that every year, Maserati land tons of awards for their overall quality. It has an utmost concern with the safety, design, and ingenuity. Some of us don’t give a hoot about fuel efficiency, and just want some uncompromising power. We did not only got to see the cars and motorcycle from Europe but we got the rare opportunity to ride some of 'em!